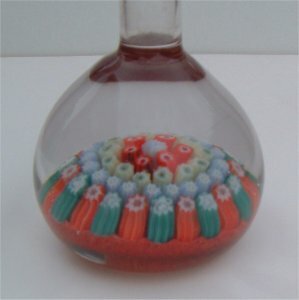 This technique using coloured canes of glass arranged in concentric circles is known as "millefiori". An Italian word which literally means "thousand flowers". More commonly seen in paperweights. 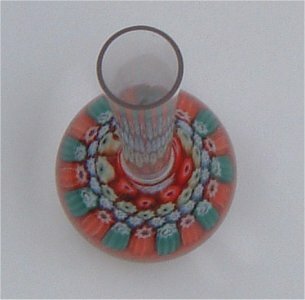 This vase is 205mm (8 & 1/5th inches) tall with a narrow flare 19mm (3/4 "). 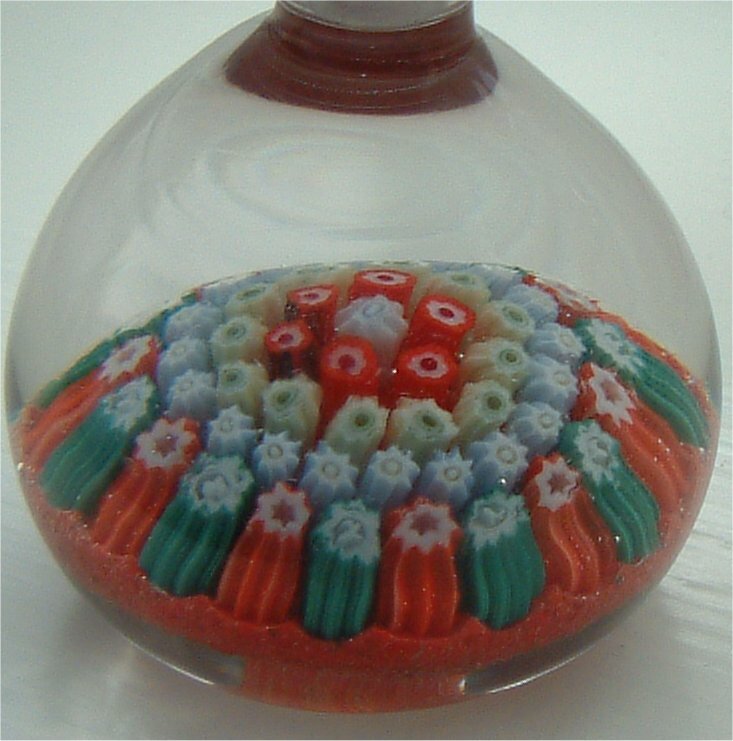 Made by Vasart or Strathearn, but without the label it is difficult to say which.